It’s a good thing people are starting to spot what leak is a fake and what not and an example is the Samsung Galaxy S6 model below. 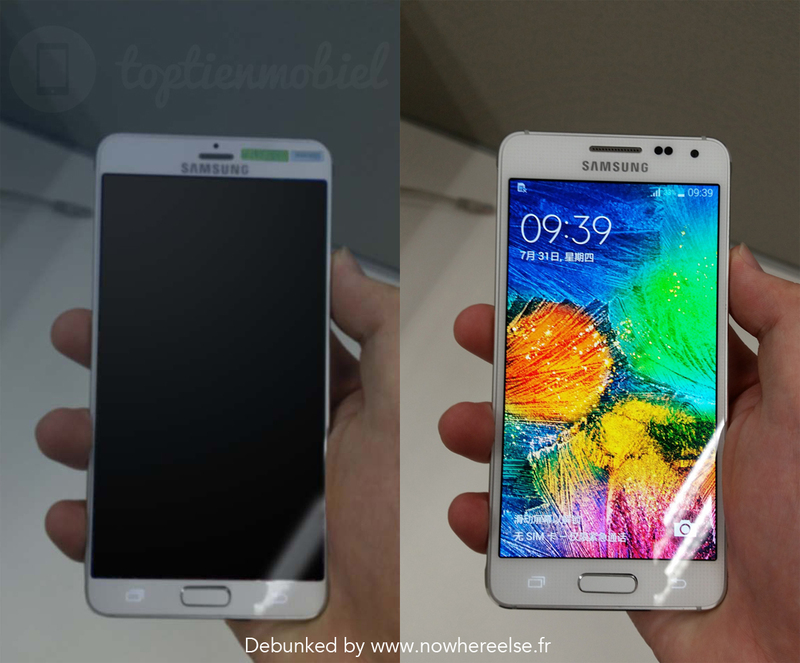 The Galaxy S6 prototype was quickly debunked by Nowhereelse.fr, after fooling quite a number of websites. Apparently, it’s simply the Galaxy Alpha, with narrower edges, a smaller Home button and with a bit more rounded edges. The earpiece has been made smaller, the format feels narrow, which is odd for a Galaxy S and the sensors have been covered. Interestingly there seems to be a camera above the earpiece, in Apple style. One can’t say 100% that the final model won’t look like this, but at the end of the day, this one is no prototype for sure. We’ve also heard of a few specs, on the occasion of the leak, including a 5.2 inch 2560 x 1440 pixel display, a 16 megapixel camera with OIS and 4K video capture, plus a 5 megapixel front shooter, a Qualcomm Snapdragon 810 processor and Android 5.0 Lollipop with a fresh TouchWiz.